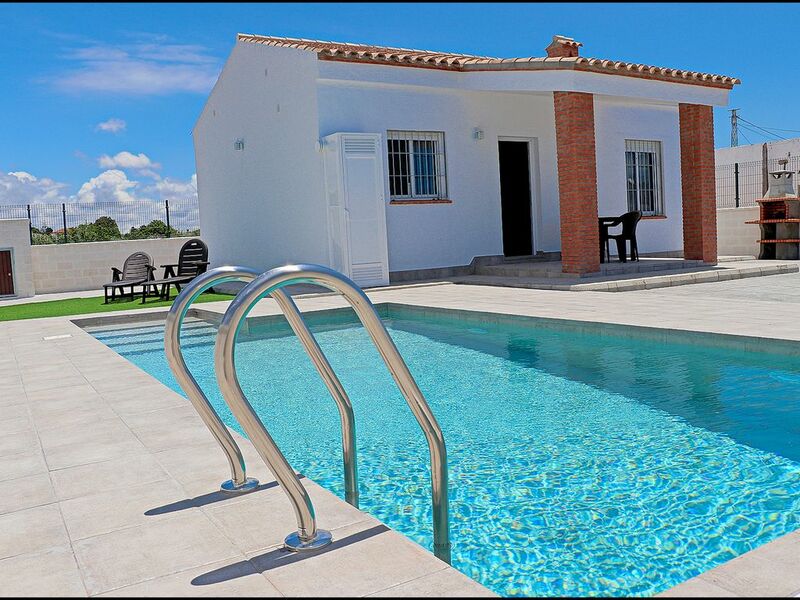 Holiday villa with a private pool located in Conil de la Frontera. It has been recently built and has a maximum capacity for four people. The property has been designed with a modern and careful decoration, right down to the most intricate detail. Inside there are two bedrooms, one of which has a double bed and the other has two single beds. The mattresses are brand new, guaranteeing maximum comfort and a good night´s sleep. Upon entering the building you will find the large lounge-kitchen, which is fully equipped with all that you may need for during your holiday. The layout of the house is completed with one bathroom with a shower. Outside is the swimming pool which is also completely new, a porch with a BBQ and an area to park the cars. Located just five minutes from the beach by car, and very close to the town centre.